How can we read “To Build a Fire” as a cautionary tale about the exploitation of nature? Jack London’s story “To Build a Fire” warns not only against trekking through a wilderness at seventy-five below but also against seeing nature simply as a resource to be exploited and controlled. Having established the protagonist’s attitude toward nature, the analysis turns to the “old-timer from Sulfur Creek,” who, though unseen, is a major character in the story. The lesson challenges students to infer the old-timer’s attitude toward nature from the advice he offers and to compare it to the protagonist’s view of the natural world. Noting the juxtaposition of images of the two men at the end of the story — one dead on a snow bank, the other safe and warm in his cabin — the lesson asks which view of nature the story endorses. The lesson develops this interpretation by analyzing nine brief excerpts, covered through four sets of close reading questions. It could be used in class by assigning one group of students sets 1 and 2 and a second sets 3 and 4. The textual analysis does not explore the story’s naturalistic elements, but the interactive exercise contrasts naturalism with romanticism and realism and asks students to identify passages as examples of each. It offers an excellent opportunity to assess students’ understanding of naturalism and to review romanticism and realism. It is written so that it can be detached from this lesson and used as a stand-alone exercise. The lesson is divided into two parts, both accessible below. The teacher’s guide includes a background note, the interactive exercise described above, a text analysis with answers to close reading questions, and an optional follow-up assignment. The student version, an interactive PDF, includes all of the above, except for the answers to the close reading questions and the follow-up assignment. The word “pedestrian” has two meanings. As a noun, it denotes a person who is walking; as an adjective it means unimaginative. The protagonist of Jack London’s short story “To Build a Fire” dies because both meanings apply to him. A pedestrian accident — he steps into a spring when the temperature is seventy-five below — is the immediate cause of his death. His pedestrian intellect — he cannot grasp the “significances” of things — is the ultimate cause of his death. Focusing on the latter, this lesson explores how his lack of imagination leads to his demise. 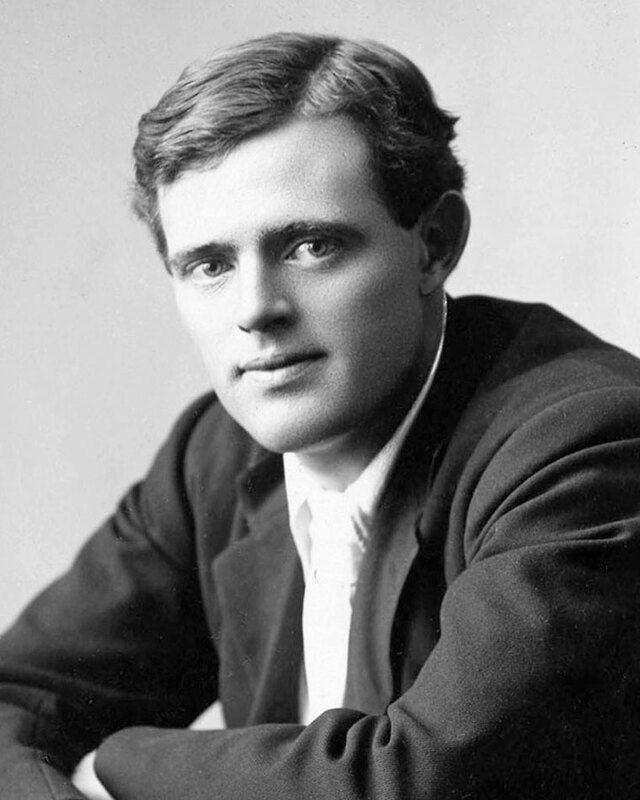 Jack London (1876–1916) based “To Build a Fire” on his experience in the Klondike region of northwestern Canada. The discovery of gold there in 1896 set off a frenzy that led thousands of prospectors to challenge its harsh climate and terrain. In the late 1890s London’s efforts to launch a writing career had stalled, and he yearned for an adventurous and possibly lucrative escape from publishers and rejection letters. His brother-in-law also dreamed of striking it rich and agreed to finance an expedition that would take both of them to the gold fields. They left San Francisco on July 25, 1897. On the trip north they befriended three other prospectors, and the five decided to pool their talents. They arrived in Juneau, Alaska, on August 2 and set out for the Klondike. After climbing mountains, shooting treacherous rapids, and enduring miserable living conditions, London and his companions set up camp near Dawson City in October. While there he spent much of his time in saloons listening to prospectors’ tall tales about living in the wilderness. A winter in close quarters with four other men and a steady diet lacking fresh vegetables left him emotionally exhausted and suffering from scurvy. In June 1898 he started his journey back to San Francisco, arriving there the following month. He stepped off the boat with only $4.50 worth of gold dust1 but with a treasure of material that would fuel his imagination for years to come. That treasure would have seemed like a paltry thing to the protagonist of “To Build a Fire.” As the narrator points out, the “trouble” with “the man” is that his thinking has remained resolutely earthbound. He has never launched himself into “the conjectural field” to contemplate such matters as human frailty, death, or his place in the universe. Why does the narrator tell us that? After all, how useful are deep thoughts when you are plodding through deep snow? Practical knowledge rather that philosophic speculation sustains the man through much of the story: he can, for example, navigate overland with impressive accuracy, and he can start a fire in a fuel-starved environment with a single match. Had he avoided the accident, those skills, not musings about immortality, might have gotten him to the old claim, frostbitten, to be sure, but alive. Mention of the old claim reminds us that the protagonist is a prospector, and, as we learn, he hopes to become a logger as well. His perception of nature is as utilitarian as the knowledge that almost gets him to that warm camp and dinner with the boys. He does not make it, however, and with his death the story argues that a utilitarian conception of nature is not enough. The natural world, as we see, exacts a terrible toll on those who cannot recognize its power and mystery and who try to reduce it to nothing more than an economic resource. 1 Andrew Sinclair, Jack: A Biography of Jack London (New York: Harper & Row, 1977), p. 51. 1. What are the chief characteristics of the landscape in which the protagonist finds himself? It is grey and extremely cold; note the repetition in the first sentence. It is strange: there is no sun on a clear day. It is dark, gloomy, foreboding, and ominous. Excerpt 2 highlights the landscape’s vastness — “a thousand miles… a thousand miles and half a thousand more” — and its desolation — “all pure white.” It is mysterious and dangerously deceptive: its gentle undulations conceal the water that will later prove fatal. 2. What foreshadowings does excerpt 1 include? The protagonist finds himself winded when he climbs the earth-bank, foreshadowing his lack of endurance when, late in the story, he contemplates running to his destination. The word “pall” refers not only to the overarching atmosphere of gloom but also to a shroud that covers a coffin, foreshadowing his fate. 3. Excerpt 1 is written from the point of view of the omniscient narrator, excerpt 2 from that of the protagonist. As such it records what he focuses on as he looks back over the path he has travelled. What he picks out of the landscape is significant and, as we shall see, offers insight into his perception of nature. What features does he note? It is important to have students note the protagonist’s concentration on the Yukon River: its ice jams, its twists and curves, and its relationship to the spruce-covered islands. Moreover, he places these details in the context of distance to salt water and to cities. The significance of these observations will become clear in the lesson’s analysis of excerpt 4, where we learn that the protagonist is a would-be logger. As someone who hopes to cut timber on the islands, he is, in excerpt 2, assessing the river’s capacity to carry logs to market. Thus here at the very opening of the story the narrator suggests the protagonist’s utilitarian view of nature along with his obliviousness to the danger posed by the desolate white landscape he is surveying. His perception of nature as a resource blinds him to its power. 1. Day had broken cold and gray, exceedingly cold and gray, when the man turned aside from the main Yukon trail and climbed the high earth-bank, where a dim and little-travelled trail led eastward through the fat spruce timberland. It was a steep bank, and he paused for breath at the top, excusing the act to himself by looking at his watch. It was nine o’clock. There was no sun nor hint of sun, though there was not a cloud in the sky. It was a clear day, and yet there seemed an intangible pall over the face of things, a subtle gloom that made the day dark, and that was due to the absence of sun. This fact did not worry the man. He was used to the lack of sun. It had been days since he had seen the sun, and he knew that a few more days must pass before that cheerful orb, due south, would just peep above the sky-line and dip immediately from view. 2. The man flung a look back along the way he had come. The Yukon lay a mile wide and hidden under three feet of ice. On top of this ice were as many feet of snow. It was all pure white, rolling in gentle undulations where the ice-jams of the freeze-up had formed. North and south, as far as his eye could see, it was unbroken white, save for a dark hair-line that curved and twisted from around the spruce-covered island to the south, and that curved and twisted away into the north, where it disappeared behind another spruce-covered island. This dark hair-line was the trail — the main trail — that led south five hundred miles to the Chilcoot Pass, Dyea, and salt water; and that led north seventy miles to Dawson, and still on to the north a thousand miles to Nulato, and finally to St. Michael on Bering Sea, a thousand miles and half a thousand more. 4. In the story’s opening paragraphs the narrator describes a landscape meant to impress, and he seems to think that it should impress the protagonist. Why does he think that? He thinks that the landscape should impress the protagonist because of its mystery and strangeness and because its qualities are new to him; it’s his first experience with winter in the Yukon. 5. The landscape does not impress the protagonist. What does, and how does it impress him? The cold impresses him, and it does so only to the extent that it makes him uncomfortable. He experiences the world only on the level of the senses; he responds with no intellection. 6. What does the narrator mean when he says that the protagonist is “without imagination” and that he is not alert to the “significances” of things? The narrator is referring to an intellectual dullness, a pedestrian, matter-of-fact vision that never transcends or inquires beyond the earthbound, the obvious, and the superficial. Later in the paragraph he expands his critique to include a lack of self-awareness: the protagonist never contemplates matters like human frailty, death, or his place in the universe. As we shall see, his ordeal leads him to contemplate all of these matters. 7. Clearly, the narrator thinks that the protagonist’s response to the landscape is inadequate: “But all this… made no impression.” In what ways is it inadequate? The protagonist fails to recognize the mystery, strangeness, and danger in the landscape. For him nature is nothing more than the cold. 8. The protagonist interprets the cold as merely something that causes discomfort, something to be guarded against by bundling up. Had he been alert to “significances,” how might he have interpreted the cold? He might have seen it as a powerful force that could kill him. This misreading of the cold is emblematic of his failure to give the natural world its due and to comprehend his precarious place in it, and that failure sets him up for the tragedy that ensues. 3. But all this — the mysterious, far-reaching hairline trail, the absence of sun from the sky, the tremendous cold, and the strangeness and weirdness of it all — made no impression on the man. It was not because he was long used to it. He was a newcomer in the land, a cheechako, and this was his first winter. The trouble with him was that he was without imagination. He was quick and alert in the things of life, but only in the things, and not in the significances. Fifty degrees below zero meant eighty-odd degrees of frost. Such fact impressed him as being cold and uncomfortable, and that was all. It did not lead him to meditate upon his frailty as a creature of temperature, and upon man’s frailty in general, able only to live within certain narrow limits of heat and cold; and from there on it did not lead him to the conjectural field of immortality and man’s place in the universe. Fifty degrees below zero stood for a bite of frost that hurt and that must be guarded against by the use of mittens, ear-flaps, warm moccasins, and thick socks. Fifty degrees below zero was to him just precisely fifty degrees below zero. That there should be anything more to it than that was a thought that never entered his head. As we have seen thus far, the protagonist is incapable of reading the hints of danger and doom the wilderness is sending him. But he is nonetheless capable of understanding the landscape in a particular way. 9. In excerpt 4 we discover why the protagonist is trekking across the frigid Yukon: he is heading for an old mining claim, but he has taken a roundabout way — a fatal choice, as it turns out — to determine how he might move logs, cut in the area, to market. How does this fact explain the landscape details he notes in excerpt 2? Remind students of their responses to question 3. As we noted there, the protagonist is assessing the river’s capacity to carry logs to market. 10. Excerpt 2, which is the second paragraph in the story, suggests how the protagonist perceives nature. Excerpts 4, 5, and 6 tell us explicitly. In excerpt 4 we learn that he is a prospector and a would-be logger. In 5 we learn that the dog is no pet: the man imperils the dog’s life by sending him across dangerous ice. The description of the dog as a “toil-slave,” mastered through the “whip-lash,” in excerpt 6 defines the relationship between the protagonist and the dog and, by extension, between the protagonist and the natural world. Based on these passages, how would you characterize the protagonist’s attitude toward nature? He sees the natural world as a resource — a repository of gold and timber — to be exploited. Instead of viewing nature as a living thing with its own power, deserving of respect, he sees it as a commodity to be mined, cut, and sold. Furthermore, his treatment of the dog suggests that he views nature as something that exists only to serve him, something he can control and dominate. 4. But the temperature did not matter. He was bound for the old claim on the left fork of Henderson Creek, where the boys were already. They had come over across the divide from the Indian Creek country, while he had come the roundabout way to take a look at the possibilities of getting out logs in the spring from the islands in the Yukon. 5. Usually the snow above the hidden pools had a sunken, candied appearance that advertised the danger. Once again, however, he had a close call; and once, suspecting danger, he compelled the dog to go on in front. The dog did not want to go. It hung back until the man shoved it forward, and then it went quickly across the white, unbroken surface. Suddenly it broke through, floundered to one side, and got away to firmer footing. 6. [The dog knew] it was the time to lie snug in a hole in the snow and wait for a curtain of cloud to be drawn across the face of outer space whence this cold came. On the other hand, there was no keen intimacy between the dog and the man. The one was the toil-slave of the other, and the only caresses it had ever received were the caresses of the whip-lash and of harsh and menacing throat-sounds that threatened the whip-lash. Although we never see the old-timer from Sulfur Creek, he is a major character in the story. He appears over and over again as the protagonist recalls the advice he gave him. 11. How is the protagonist’s attitude toward nature reflected in excerpt 7, and how does his attitude help to explain his dismissal of the old-timer’s advice? His satisfaction at saving himself reflects his belief that he can prevail over nature. Firmly believing that, why should he listen to the “womanish” (note the gendering of weakness) advice of an old man? 12. From the advice he offers, what can we infer about the old-timer’s attitude toward nature? Compare it to the protagonist’s. He is an “old timer,” whose long experience has taught him to understand and respect the power of nature. Unlike the protagonist, he is aware of human frailty and knows that the human control of nature cannot be counted on, especially in extreme circumstances. 13. We began this analysis by noting that the protagonist lacked self-awareness. How might we say that, through his ordeal, nature has brought him to self-awareness, has led him to see his place in the universe? In excerpt 8 we see that his ordeal has, quite literally, enabled him to envision his place in the universe, which happens to be a snow bank in the Yukon on which he is sprawled, frozen to death. 14. The story ends with the juxtaposition of two images: the protagonist lying dead in the snow and the old-timer comfortable in his cabin. How does the story judge the two attitudes toward nature represented by these men? Here is where we see that the story can be read as a cautionary tale. Clearly, by killing off the prospector / potential logger as a result of his pedestrian, utilitarian concept of nature, it is warning against reducing nature to a mere commodity. In addition, it dramatizes the folly of thinking that humans can master the natural world. By picturing the old-timer puffing on his pipe in a warm, comfortable cabin, the story illustrates the wisdom of a perception of nature informed by an awareness of and respect for its power and mystery. Examine where various authors set their stories and how they present the natural world. 7. He was safe. He remembered the advice of the old-timer on Sulphur Creek, and smiled. The old-timer had been very serious in laying down the law that no man must travel alone in the Klondike after fifty below. Well, here he was; he had had the accident; he was alone; and he had saved himself. Those old-timers were rather womanish, some of them, he thought. All a man had to do was to keep his head, and he was all right. Any man who was a man could travel alone. 8. Then the thought came to him that the frozen portions of his body must be extending. He tried to keep this thought down, to forget it, to think of something else; he was aware of the panicky feeling that it caused, and he was afraid of the panic. But the thought asserted itself, and persisted, until it produced a vision of his body totally frozen. This was too much, and he made another wild run along the trail. Once he slowed down to a walk, but the thought of the freezing extending itself made him run again. 9. He pictured the boys finding his body next day. Suddenly he found himself with them, coming along the trail and looking for himself. And, still with them, he came around a turn in the trail and found himself lying in the snow. He did not belong with himself any more, for even then he was out of himself, standing with the boys and looking at himself in the snow. It certainly was cold, was his thought. When he got back to the States he could tell the folks what real cold was. He drifted on from this to a vision of the old-timer on Sulphur Creek. He could see him quite clearly, warm and comfortable, and smoking a pipe. Like Jack London, Stephen Crane (1871–1900), the author of the Civil War novel The Red Badge of Courage, wrote in a naturalistic vein. In an untitled poem of only twenty-four words, reproduced below, he captured much of naturalism’s attitude toward the natural world and the place of humans within it. As either a written or discussion assignment — your teacher will decide which — describe how “To Build a Fire” reflects the attitudes expressed in Crane’s poem.